Lock in a great price for Casa do Valle - rated 9 by recent guests. Views were amazing & lovely gardens & pool. Bed was super comfortable. Friendly staff. The friendly staff who are very helpful. A lovely location. Great pool. Enjoying the views of the castle and palaces from our room's deck and the pool was marvellous. The staff were really friendly and it was a short walk to the town centre. Although uphill! Beautiful peaceful location on hillside. Pool great for hot day. Staff very helpful, breakfast brought to room was great. Great recommended regional restaurant and cafe. Nice pool and comfortable rooms. Great views and a convenient location if you don't mind a walk uphill. Incredibly picturesque, relaxing and brilliantly central. Beautiful grounds and great staff. Thank you! Incredible views. Green and environmentally friendly. Very tranquil, a nice calm retreat. Breakfast brought to us was lovely. Everything very thoughtful. Very beautiful setting, staff were extremely helpful and pleasant. Wonderful views of the castles day and night. A good location to visit Sintra. The place is very nice. Good breakfast. The private parking is very usefull in Sintra. 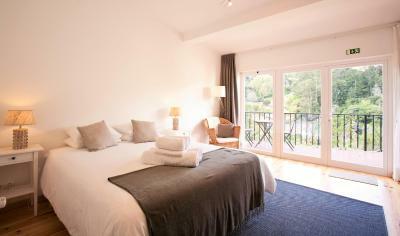 Casa do Valle is located in the historic centre of Sintra, surrounded by the Sintra-Cascais Natural Park. 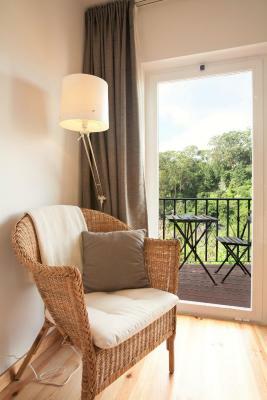 Guests can relax on the private patio enjoying views of the landscaped gardens. 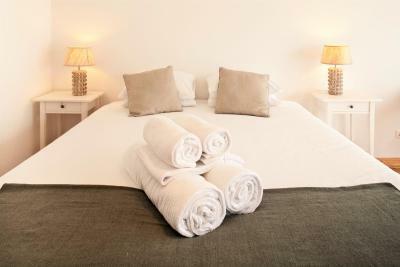 All bright rooms are decorated in natural colours and ergonomic pillows make the night more comfortable. Each features complimentary tea/coffee facilities and free Wi-Fi. With 3 different options, breakfast in Casa do Valle is served in the rooms, from 08:30 to 10:30. Within a 10-minute walk are a variety of cafés, bars and restaurants offering international and local cuisine. Massages and relaxation treatments can be arranged upon request. Guests can visit the Sintra National Palace 550 yards away, or enjoy a game of golf in one of the several courses available within 12.4 miles. 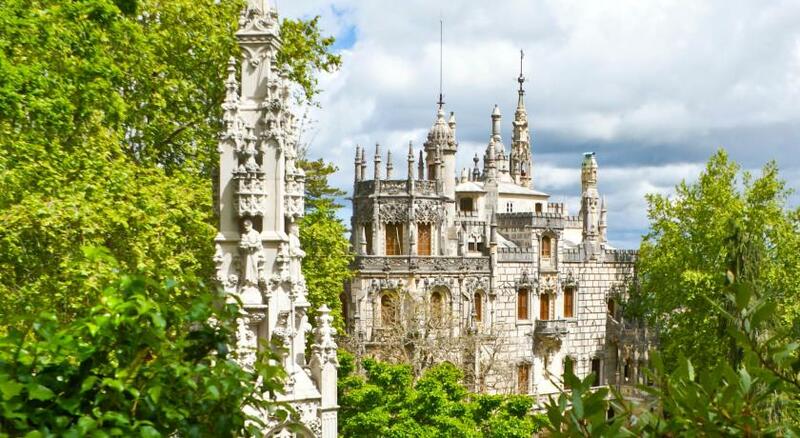 Sintra Train Station is 750 yards away and an airport shuttle to Lisbon (18.6 miles) is available upon request. Casa do Valle has been welcoming Booking.com guests since 30 Oct 2012. When would you like to stay at Casa do Valle? This bright room is decorated in warm colours and ergonomic pillows make the night more comfortable. Some rooms are on the garden level patio, while others have a balcony with a view. It features complimentary coffee- and-tea-making facilities and free Wi-Fi is available. The room has TV with satellite channels upon request and free of charge. The room has a private bathroom with a shower, all but one are ensuite. Free toiletries are provided. Please note that this room type can only accommodate extra beds or baby cots on request. 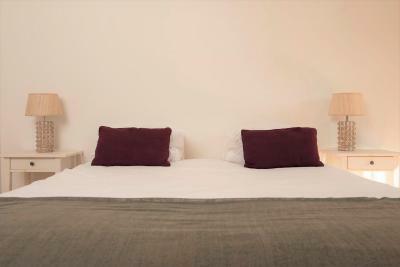 This spacious room is decorated in warm colours and ergonomic pillows make the night more comfortable. 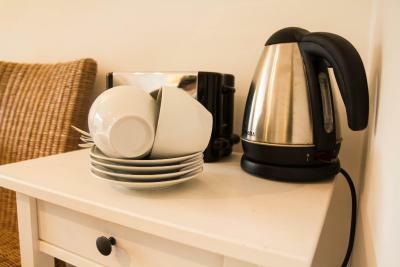 It features a walk-in wardrobe and complimentary coffee- and-tea-making facilities are available. 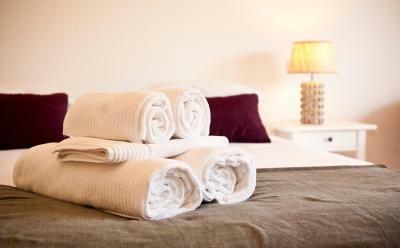 The private bathroom includes a walk-in shower and the toiletries are free of charge. This bright room is decorated in warm colours and ergonomic pillows make the night more comfortable. The wooden patio offers views of the mountains. It features complimentary coffee- and-tea-making facilities and free Wi-Fi is available. The private bathroom with marble furnishing includes a walk-in shower and the toiletries are free of charge. House rules Casa do Valle takes special requests - add in the next step! Casa do Valle accepts these cards and reserves the right to temporarily hold an amount prior to arrival. Please note that rooms have different locations. Breakfast is delivered in a basket at the room. It can be delivered from 08:30 until 10:30. Guests need to confirm the time of delivery on the previous day at the reception. Early check-in is possible, upon availability and at an extra fee of a one night rate. Late check-in is possible, upon availability and at an extra fee of EUR 20. Late check-out is possible, upon availability and at an extra fee of a one night rate. Please note that the property is set on a cliff and therefore access to the superior rooms is made via external stairs. Please inform Casa do Valle in advance of your expected arrival time. You can use the Special Requests box when booking, or contact the property directly with the contact details provided in your confirmation. 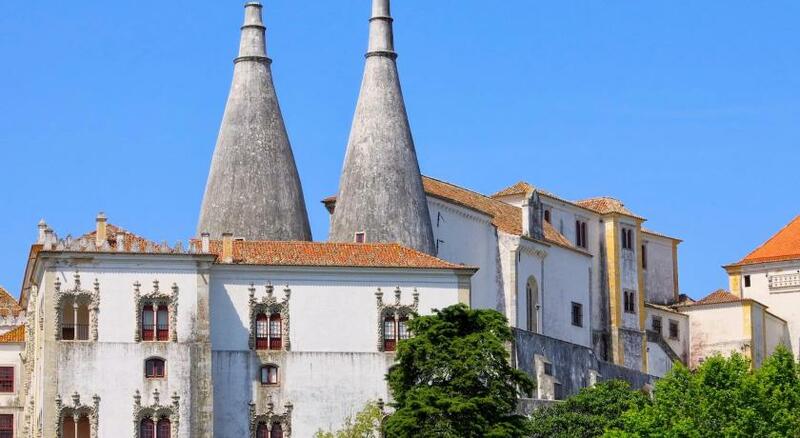 Very convenient to Sintra historical. Staff was extremely helpful with suggestions and maps. We loved the location of the property. It’s a steep but short walk to the center of Sintra. Our room had a deck where we ate breakfast each morning & could view the beautiful hillside. At night we could sit outside & enjoy the star lit sky. The owner is wonderful. She has created beautiful gardens & grounds. There is also a nice swimming pool. The bed was very comfortable and the room quite spacious & clean. They also have their own private parking on the property which is significant in Sintra. This is our second time to stay here, & if we return would stay here again! Great view outside the room in balcony! Perfect stay! The grounds and room were beautiful and incredibly comfortable! I wish we could have stayed longer. Room set on lower hillside property, Lots of steps to get to room. No fan in bathroom. Uphill hike to get to town center. Quiet setting, nice view of the valley. Close to town center. Friendly staff. Breakfast was basic and delivered to your room rather than a dining room. There was very little to moan about but they kept forgetting to replace our black tea! And there was some dog poo on one of the paths for a few days. Restaurants were not within easy walking distance but taxis and tuk tuks made up for this. The lights in our room did not work when we checked in. The associate noticed this when showing us the room and commented: "well there is currently no one here to fix it" It is in my opinion a bit cheap to charge 20eur if a guest wants to check in after 6.30pm. Overall this is a quite expensive property compared to the other properties we stayed at in Portugal. However, Sintra is in general very expensive and touristy. To summarize my opinion : This property and Sintra in general are overrated. The town has lost its charm and seems more like a theme park for day tourists from Lisbon. The property is just alright, but for this price I would expect more. It's also cheap to charge extra for a relatively small breakfast and check-in in the early evening.